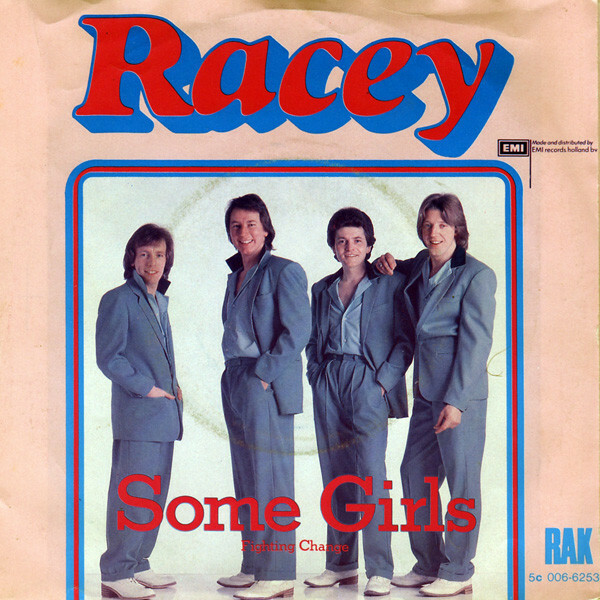 After 9 weeks with the same number 1 hit, the nation was finally ready for a change and we saw this as Racey’s ‘Some Girls’ took over the top spot from Richard Jon Smith’s ‘Michael Row The Boat Ashore’. ‘Some Girls’ leapfrogged Gloria Gaynor’s ‘I Will Survive’ which extended its lead for most consecutive weeks at 2, this being its 8th straight week as the second favourite song in the land. The Dooleys’ ‘Honey I’m Lost’ was the climber of the week for a second week running. It moved up a further 6 places climbing from 14 to 8. There was one other star rater this week and it was Anton Goosen’s ‘Kruidjie-Roer-My-Nie’ which was experiencing renewed support. It had climbed as high as 10 in the charts but had then slowly dropped down to 18. This week is suddenly jumped back up the charts, climbing 4 places from 18 to 14. Neil Diamond picked up his 11th biggest faller award as ‘Forever In Blue Jeans’ fell 6 from 10 to 16 this week. He was the 6th act so far to have seen 11 biggest fallers. Frankie Miller’s ‘Darlin’ enjoyed a 7th week as the oldest on the chart. It had been with us for 18 weeks so far and was the 27th song to manage at least 7 weeks as the oldest in the top 20. For a second week in a row we saw only 1 song leave the chart and this week it was Billy Joel’s ‘Honesty’. It had enjoyed a run of 10 weeks and peaked at 8, the lowest weeks and peak of his 3 hits to date. There would be further hits to come from him. Joe Dolan extended his run for having a song in the charts every year since 1975 as his ‘My Love’ was the new entry, giving him 5 consecutive years of featuring in our charts. ‘My Love’ was Dolan’s 7th hit to make our charts. It was written by Michael Tinsley, Peter Yellowstone and Steve Voice. Yellowstone had been responsible for 4 of Dolan’s 7 hits now while Tinsley and Voice had brought us 2 of Kelly Marie’s hits and Tinsley had co-written Dolan’s ‘I Need You’ with Yellowstone. While the song proved popular in South Africa, it did not seem to have made much impact on the charts in the rest of the world other than getting to number 27 in Dolan’s native Ireland. There had now been 17 songs by Irish acts make our charts and this put Ireland tied 9th with France on the list of hits by acts from a nation. Richard Jon Smith moved into tied 13th place on the local weeks count list with 55 to his name. he shared the spot with Maria. The average number of weeks the top 20 songs had been with us moved onto exactly 9. This was the first time it had been 9 or higher for 37 weeks. This entry was posted in 1979 and tagged Racey, SA Top 20, Some Girls, South Africa, Springbok Radio. Bookmark the permalink.